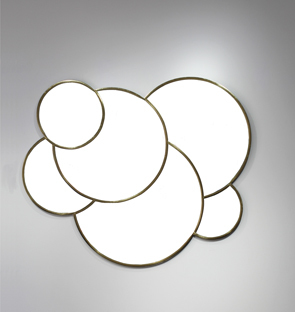 Mirror in the shape of stem cells. Inspired by stem cells endless possibilities. Where do I begin and where do I end? The body as the universe infinite space. Leaded mirror with brass colored lead. Handmade in Sweden. Dimensions approximately: 120 centimeter x 100 centimeter. Price on request.